Vaticanist Andrea Tornielli has published on the Vatican Insider site a serious testimony about Padre Pio's bilocation to the Hungarian dungeon where Joszef Cardinal Mindszenty was imprisoned in the fifties. A new element has just been added to the collection of miraculous episodes that marked the life of Padre Pio. It is found in a recently published book presented on the 10th anniversary of the dedication of the new sanctuary of San Giovanni Rotondo where the Capuchin's body is buried. It contains a report by Angelo Battisti, director of the House for the Relief of Suffering (the hospital founded by Padre Pio) and typist at the Vatican Secretariat of State. Battisti was one of the witnesses in the saint's beatification process. 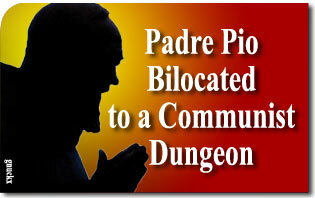 The bilocation which took Padre Pio all the way to the cardinal's cell is said to have taken place during those years. "The Capuchin with the stigmata, while [remaining] in San Giovanni Rotondo, went to see the cardinal to bring bread and wine destined to become the body and blood of Christ, that is, the reality of the eighth day [Easter Sunday]. "In this case, the bilocation acquires further significance as an anticipation of the eighth day, i.e. the Resurrection, when the body is freed from the limits of space and time. "Also symbolic is the inmate registration number printed on his pajamas: 1956, the year of the cardinal's release. "As is well known," Battisti recounts, "Cardinal Mindszenty was arrested, put in jail and watched around the clock. Over time, his desire to celebrate holy Mass strongly increased. "One morning, Padre Pio presented himself before him with everything he needed. The Cardinal celebrated his Mass and Padre Pio served [as acolyte]; then they spoke, and finally, Padre Pio disappeared with everything he had brought with him. "A priest from Budapest told me confidentially about the episode, asking if I could get a confirmation from Padre Pio. I answered that if I were to ask something like that, Padre Pio would drive me out of the room hollering." "Father, did Cardinal Mindszenty recognize Padre Pio?" - "Well, we met and talked and so you think he would not have recognized me?" He thus confirmed his bilocation to the cardinal's cell, which supposedly happened a few years earlier. "Then," Battisti added, "he became sad and said, ‘The devil is ugly, but they had left him uglier than the devil,'" referring to the mistreatment the cardinal suffered. 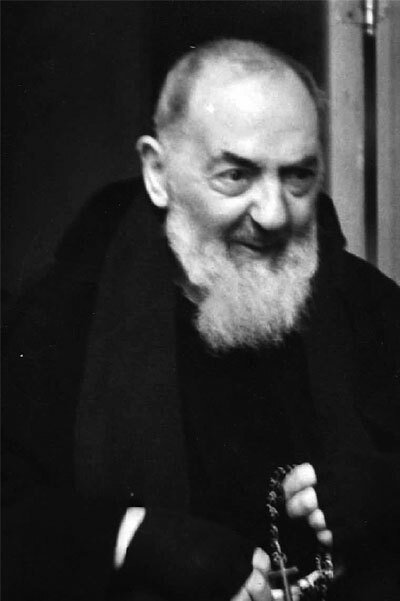 Padre Pio concluded: "Remember to pray for this great confessor of the faith, who suffered so much for the Church." Praied be Jesus & Mary & His Catholic Faith! Pray the Rosary. Help us Cardinal Mindszenty! Many, many thanks for this inspiring incident. How good God is to his faithful servants who trust in him! In fifth grade (1960) near Chicago we used to write him letters in Hungary. 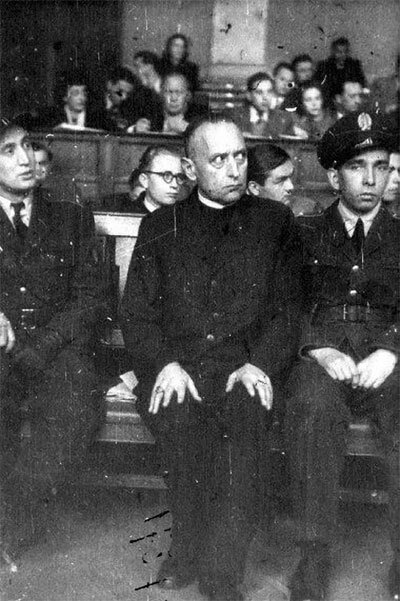 After being jailed for years by the hungarian commies, Paul VI who tried to befriend with the reds mistreated Cardinal Mindszenty when he promised him he would remain the Primate of Hungary if he accepted to come and dwell in Rome. Once in Rome Mindszenty was dismissed and a new Primate more pleasing to the communists was named. A simple yet wondrous and profound article. How Crucial is the Indissolubility of Marriage? Update: Sacred Host Stolen for "Black Mass"
Can YOU lead a Rosary rally?